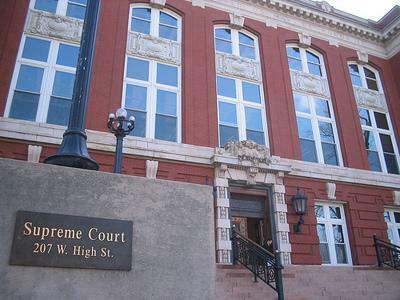 Missouri's long-ailing Second Injury Fund is at the center of a lawsuit heard Tuesday before the State Supreme Court. David Spradling was injured on the job in 1998 after having previously been declared disabled, and died in 2005 from unrelated circumstances. He had filed a Second Injury Fund claim, which his three children pursued, and in 2011 were awarded his disability payments for the rest of their lives. Attorney Sheila Blaylock represented the Spradlings before the High Court. "Had the work injury caused Mr. Spradling's death, we wouldn't be here today, because the benefits that would be owed to his children would be death benefits," Blaylock said. "The (Second Injury) Fund would have no liability to my clients; it would be employer responsibility." Blaylock argued that a 2007 court ruling entitles dependents of a deceased employee to receive permanent total disability awards for life, and that at the time of Spradling's death his children were still teenagers. The Spradlings' brief can be viewed here. Assistant Attorney General Jon Lintner represented the State Treasurer's Office. He argued that the Labor and Industrial Relations Commission erred in its ruling on the Spradling case, and that payments should have ended after Spradling's kids, who are now in their 20's, turned 18. "Does someone who was once a dependent remain a dependent, regardless of circumstance, for the rest of his or her life? No," Lintner said. The state's brief can be viewed here. The Missouri Supreme Court will issue its ruling at a later date.